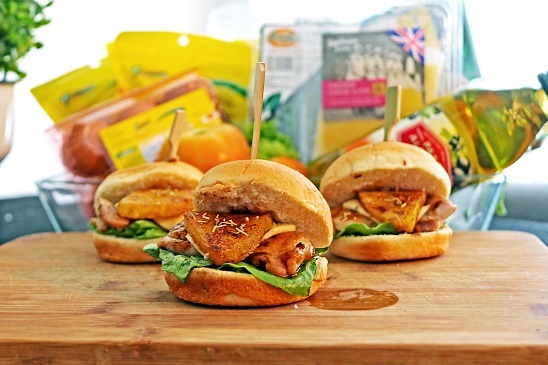 Learn to make 3 simple party meals with these recipes, featuring grilled honey lemon chicken with pineapple slider, grilled portobello with balsamic button mushroom and grilled whole tomato with egg, cheese and ham! Rub salt and place the chicken on a preheated grill plate, drizzle it with lemon juice and grill it on high heat for 30 secs on each side. Coat chicken with honey and grill it on low medium heat for another 3-4 mins each side. Coat pineapple slices with brown sugar and cinnamon, grill for 3-4 mins each side. Blend remaining pineapples into a puree and cook together with honey till paste thickens. Place romaine lettuce on the slider bun. Place portobello mushrooms on a baking tray. Drizzle with olive oil black pepper and sea salt. Add mozzarella and cheddar cheese into the mushroom and bake for 15 mins at 190 degrees celsius. Heat pan with olive oil and stir fry diced button mushroom with balsamic vinegar, black pepper, salt to taste and parsley. 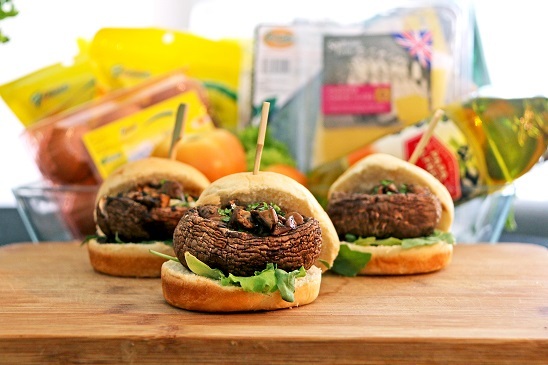 Place wild rocket on the slider bun and top it with baked portobello and balsamic button mushrooms. Stabilize the slider with skewers. You can also make this for a quick Christmas breakfast. 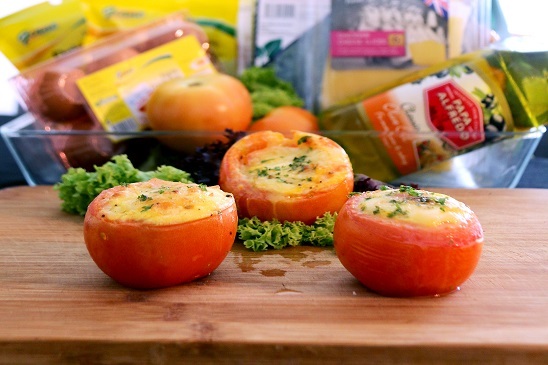 Cut off the cap of the tomato and scoop out its flesh without damaging the tomato. Dice the flesh and mix it with ham, cheese and egg. Pour into the tomato bowl (from step 1). Bake for 10 mins at 190 degree celsius.